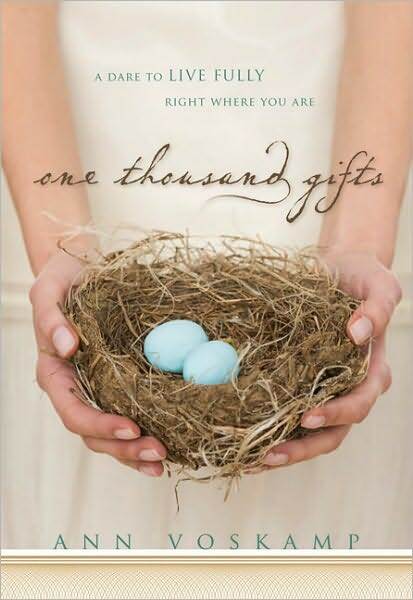 As you may or may not know, we recently posted an article in which we commended your book review of Ann Voskamp's One Thousand Gifts. And then today, a reader forwarded your most recent post, entitled In Which I Ask Ann Voskamp's Forgiveness..., an article in which you wrote that after Ann Voskamp emailed you, inviting you to lunch, you felt a twinge of remorse over some of the wording of your original article, especially in light of the fact that you might soon find yourself face to face with her, sharing a meal. For those who aren't familiar with what Panentheism is, Panentheism is a worldview that embraces the view that God is "in" everything: in humans, in whales, in giraffes, in sand, in the ocean, the wind, the mountains, the stars, and on and on. In this worldview, God is reduced to being an essence, an energy, a vibration, that permeates and gives life and energy to all things. Panentheism is part of the eastern worldview (Hinduism, Buddhism, etc.) and is NOT part of the biblical worldview. The Christian worldview is that we are "dead in our trespasses" (Eph 2:5), while the eastern worldview is that we all have a "Divine inner spark," and at least some aspect of God/Divinity inside of us, regardless of our faith (Christian, Hindu, Muslim, Buddhist, etc.). Of course, Mystical Christian Panentheism (of the variety found in One Thousand Gifts) is its own sort of subcategory under Panentheism in which Christian terminology is used, although - and here's the rub - the terms have been redefined, thus nullifying the doctrine that, in the orthodox tradition, weights each of those terms with meaning. But back to my own story and how, in my own life, I became ensnared in Mystical Christian Panentheism. Twenty-five years ago, I was not a believer. I had rejected Christianity after having grown up in a liberal mainline denomination. Ironically, I rejected what I thought was Christianity because it gave me no answers on how to deal with the horrific sin in my life. (As I'm sure you are aware, the mainline denominations gave up Sola Scriptura and preaching the real Gospel for man-centered pragmatism and a social gospel about a hundred years ago.) So I turned to New Age teachings in order to find an answer for my sins. The funny thing is, I would only read the books that talked about Jesus and God and the Bible. I didn't want to stray too far from my "Christian" roots, you see, I didn't want to completely reject God. And believe me, there was plenty of what I was looking for amongst New Age teaching. I was lured into a Panentheistic worldview through beautiful esoteric writing bathed in Christian terminology (what I have now termed Mystical Christian Panentheism). Is that Ann Voskamp's intention? I have no idea. All I know is that this particular type of teaching is dangerous. After being ensnared for several years, and falling more and more deeply into despair, something miraculous happened: God reached down and mercifully saved me. But can you imagine my early years as a Christian in the current professing church? The emergent church was in full bloom, with its mystical panentheistic leanings, as was the "bridal paradigm" teaching, which basically teaches people to lust after Jesus in an emotional, sensual way. And to top it off, if you questioned any of this stuff, you were called uncharitable and Pharisaical. I won't go into my very real slide into despair over the fact that most of the professing Evangelical church today teaches against biblical discernment, either out of ignorance of Sola Scriptura or out of a lust for "unity" (though it is a false unity, and not a unity of the Ephesians 4 variety, which is soundly rooted in doctrine), but let's just say it's a big part of the reason why we started this blog. Can I sit by and say nothing while the same Mystical Christian Panentheism that once ensnared me now threatens to engulf the church (and many unsuspecting Christians)? No! Oh, how I have compassion for all of the other real women out there who have not been shepherded well, and thus discern teachings and books based only on the emotional pull, poetic writing, and likability of the teacher. I also have compassion for women who think the greatest sin is to say that a teaching is wrong because it does not line up with Scripture, but who have no fear of the Lord, nor reverence for his Word, and honestly do not think that believing a falsehood about God is a sin. 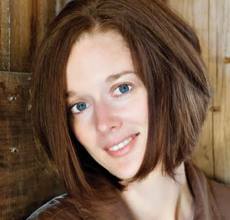 This is the very type of woman who will, in all likelihood, embrace Ann Voskamp's book. And I would say all of that to Ann Voskamp herself, given the opportunity, though certainly in a respectful and gentle way. I guess I'm asking you to be as mindful of the just as real, though nameless, women out there who are primed to accept this version of "Christianity" because of its sensual appeal. It is these same women who will read this and will label me a hater because they will see this article as some kind of personal attack against Mrs. Voskamp, when it is nothing of the sort, but only a warning borne out of my own personal experience with mysticism.